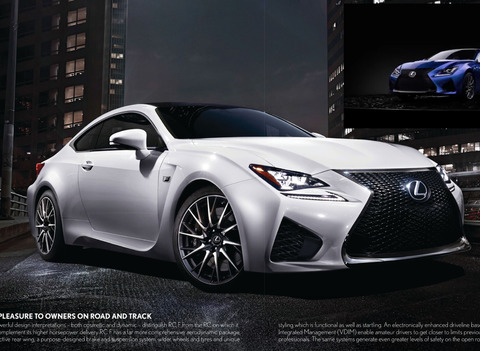 This is a must-have App for Lexus customers and fans of Lexus located in the Chicago area and beyond. 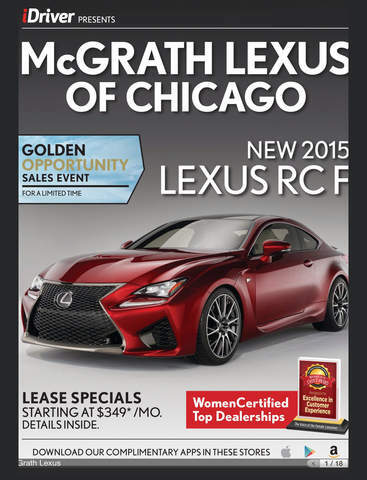 McGrath Lexus of Chicago, in a commitment to be the standard among all Luxury dealerships, is among a handful of forward thinking dealerships to offer fully functioning, content rich Tablet and Smartphone Apps to our current and future customers. We will be bringing you, through the Apps and our digital e-magazine and also in HTML 5, our monthly IDriver McGrath Lexus e-magazine, featuring Lexus’s Newest vehicles, exclusives specials in Sales, Service and Parts along with other great values. Our Each issue will feature Lexus exciting and dynamic product line with photos, video and reviews of that month's Featured vehicle". We will also have New and used vehicles, service, and parts specials, plus get the latest updates and information on your Lexus models. It’s our new format to give you more information and a virtual tool to visit our dealership in the comfort of your home or office. We have a chat feature that lets you connect tot the dealer from anywhere and tools for location, trade value, contact info and more. McGrath Lexus of Chicago was opened in 1999 on Division Street at the nearest corner of the Kennedy Expressway, which has a four-way interchange. It is only five to ten minutes away from the Loop and most of the surrounding downtown area and near north neighborhoods. In keeping with the McGrath Lexus tradition, our newest facility is huge—almost 100,000 square feet. We feature a café, an art gallery, a golf putting green, a children's center, three new car showrooms, two pre-owned car showrooms, an automatic car wash, 29 service bays, an accessory boutique, and the ability to display 130 vehicles indoors. This state-of-the-art facility was designed with every facet of our customers' need in mind. Whether you’re searching for a new Lexus dealership in the Chicago area or a used car dealer in Chicago, be sure to stop by so we can show you our complete line of vehicles and high standard of customer service. We also offer quality car service by certified technicians for anyone looking to find auto repair shop service in Chicago, as well as OEM Lexus parts finance team that’s ready to help your next dream purchase become a reality. If you have any questions, please feel free to contact us online or by phone at (888) 217-0332. 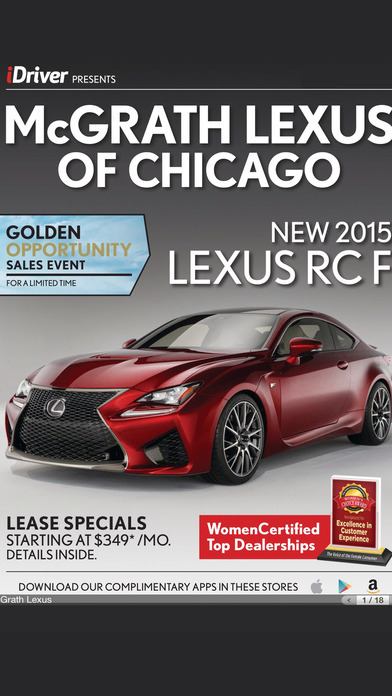 Or feel free to stop by our dealership at 1250 W. Division Street, Chicago, IL 60642. We look forward to hearing from you soon!